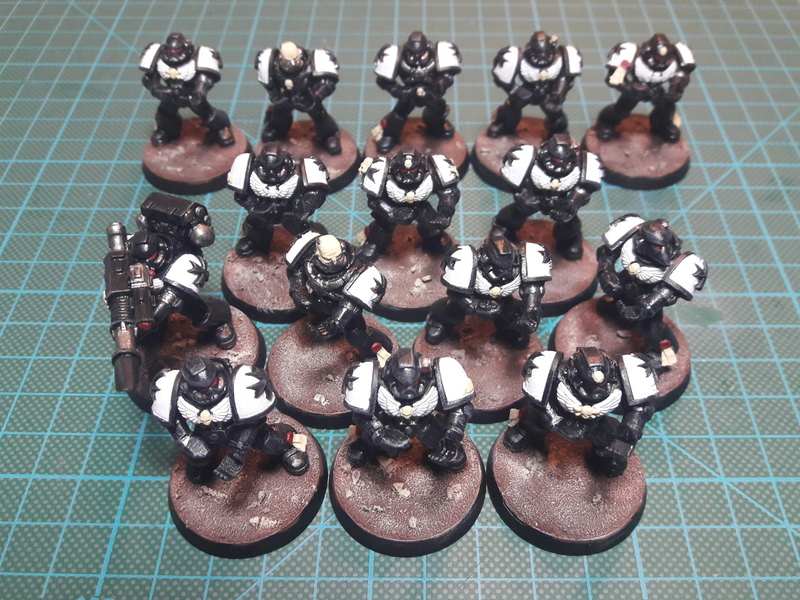 "Two nerds, a lot of miniatures, paint everywhere, and the hobby's daily madness"
I have finished the 15 Black Templars Space Marines and they are ready for battle. They can be set up as two 5-man squads with plasmagun and combi-plasma and one 5-man squad with a lasercannon. 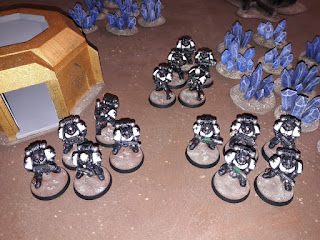 Black Templars #2 and Terrain ('Anphilion Base' and crystals). 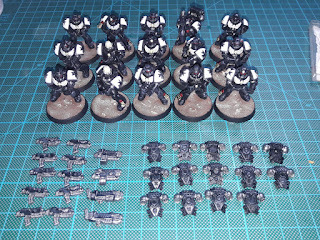 The 15 Black Templars bodys are now finished. Backpacks and bolter got the ground colors and started there gunmetal details. 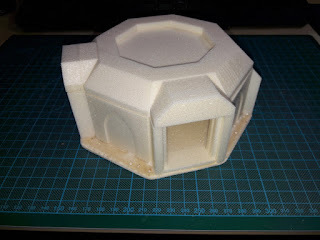 In the next stage some the remaining details get colors and all parts must be glued together. I also started on some additional crystals, to enlarge the crystal field. At the mement the crystals are only build and primed. Inspired by the Anphilion Base from FW I tested so cut some octagons. 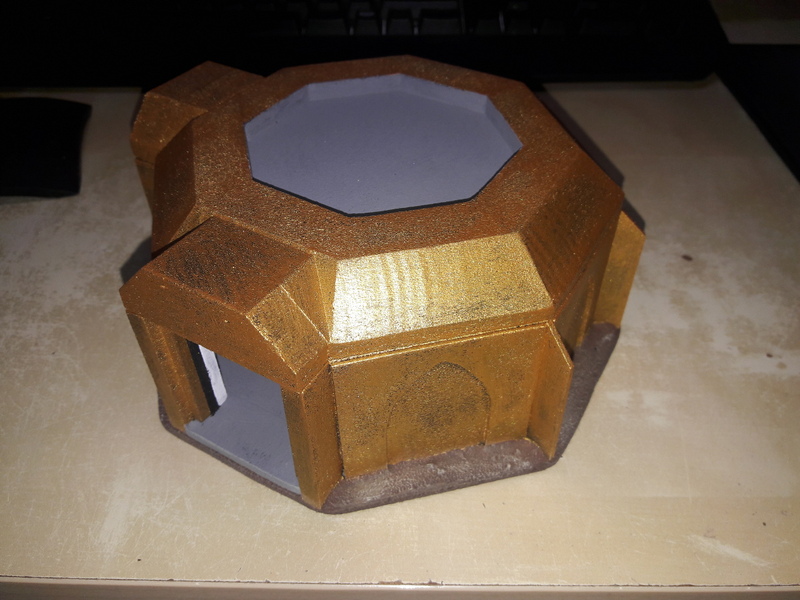 On the second try it works pritty well so I build a prototyp of my version from that base and also start painting it. The roof is removable so also the inside is playable. 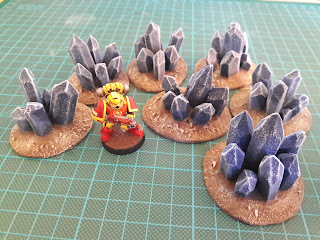 Some crystals as tarrain. 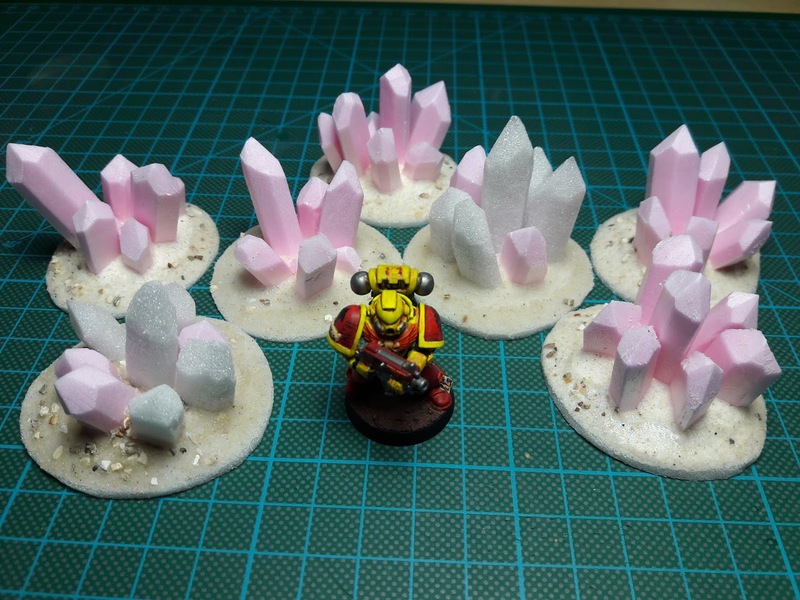 The crystals and base are made from foam with some sand for extra texture on the base. For the painting I used normal mixing colours. In total I have finished 18 pieces. Finished build up before painting. 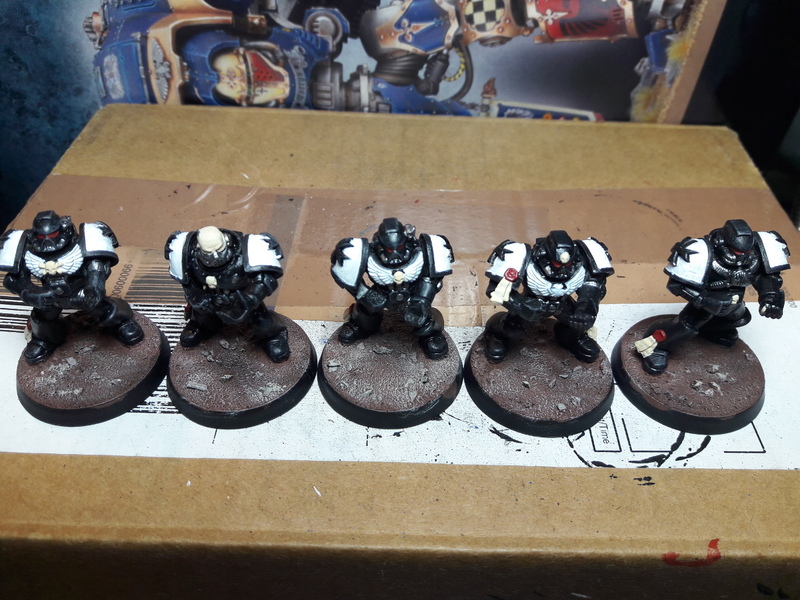 Painted and ready for gaming. 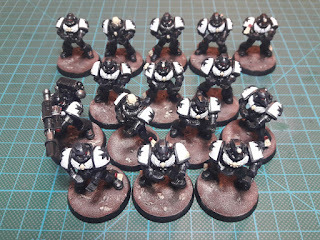 The Black Templars from the last post got some reinforcement. All still wip, but the primary colors are done. Next step are highlights and some corrections. 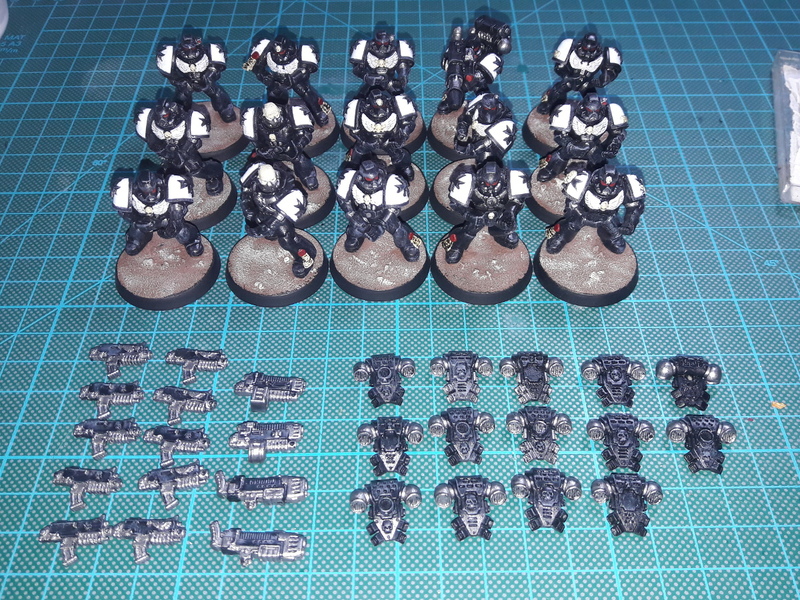 And if I'm not painting, I search the missing weapons and bolters. The Deathwing got some more colors. 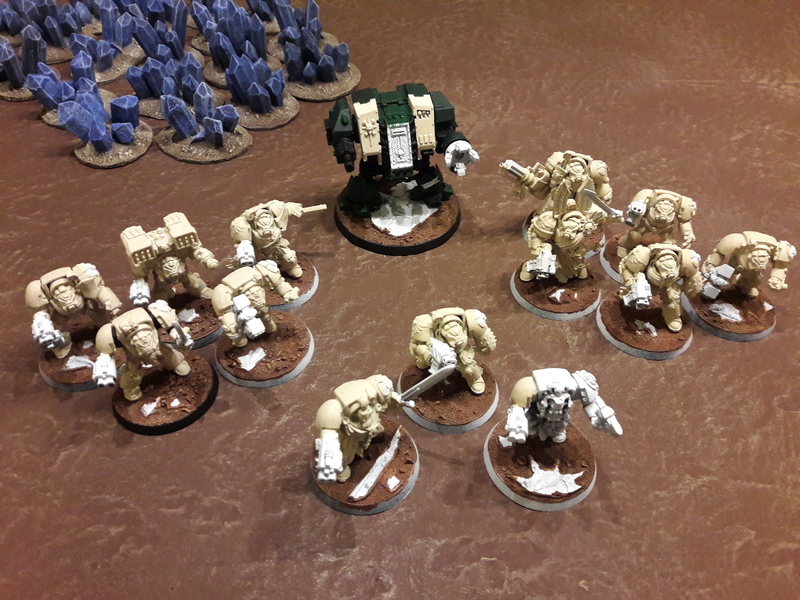 No the normal Terminators have almost all base colors. Some small details and I can start so ink and highlight them. With the new Chapter Approved 2018 all models got cheaper in points so that I must change the list a little. 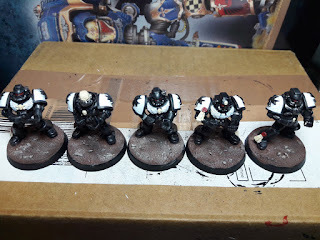 Maybe the Scriptor is cut for the Chaplain (wich is still just black) and some more normal Terminator. I haven't painted much, so still a lot work on the Deathwing. But I reassambled some Black Templar Marines, which also got the base colors. Not much done till the last post. Standards are still missing. But the normal Deathwing Terminator got some more colors. 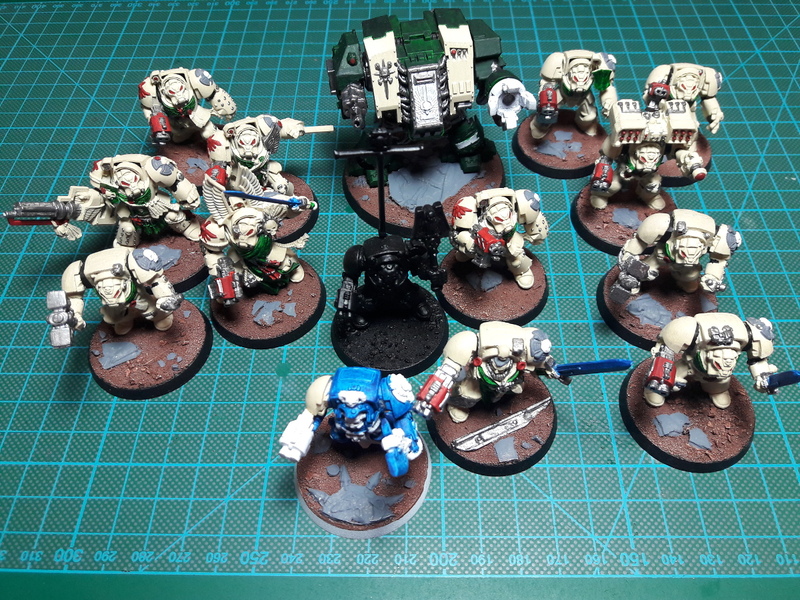 I have continued the painting of the Deathwing, armours and bases have now the base colors. The standards for the Ancient, Sergeants and HQs are still missing. 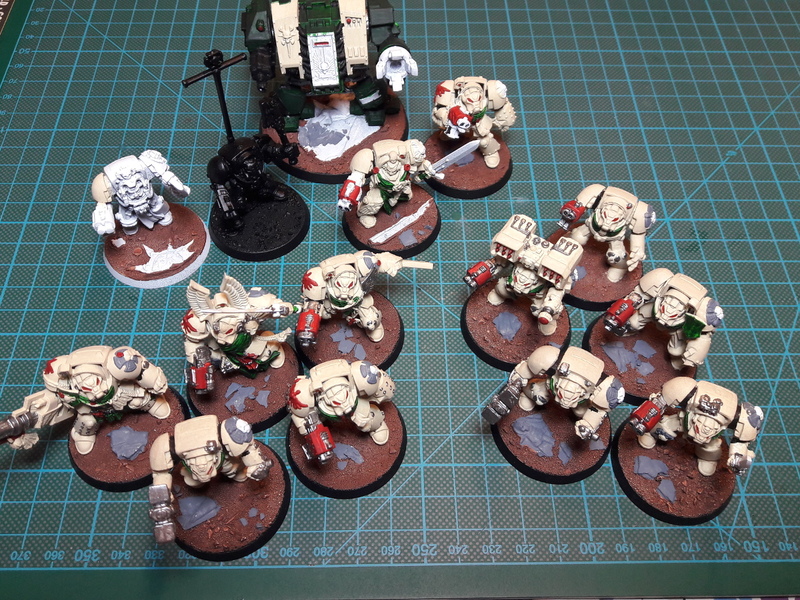 Because I wanted an army with a lower model count for easier transport, I started to build up a little Deatchwing Detachment. 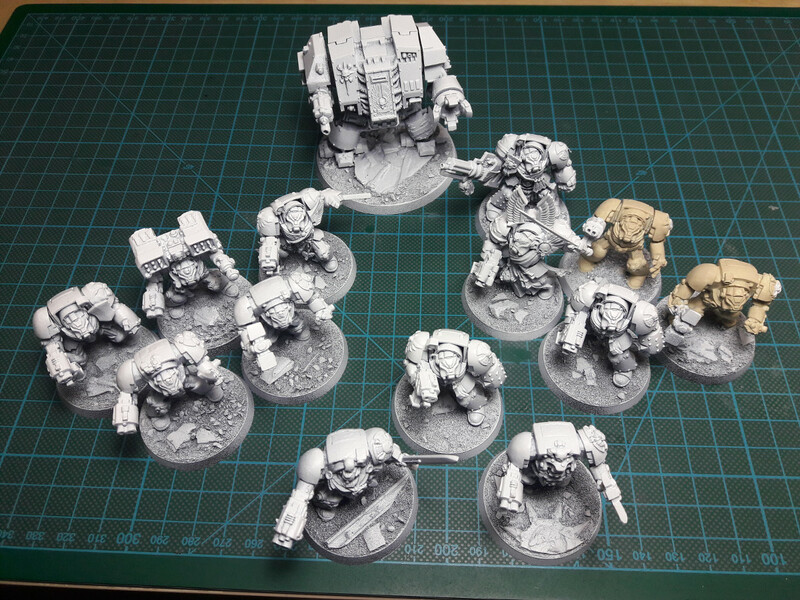 The army is a compilation from old plastic and tin Terminators and also a Dreadnought from an older start box. 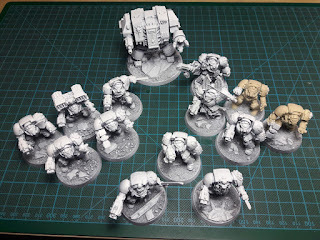 The models are all builded up and primed (on two models I tested some ground color), the only missing parts are the standards for the Ancient, Sergeants and HQs. Chaos "Lord"/Sorcerer #3 - Finished! 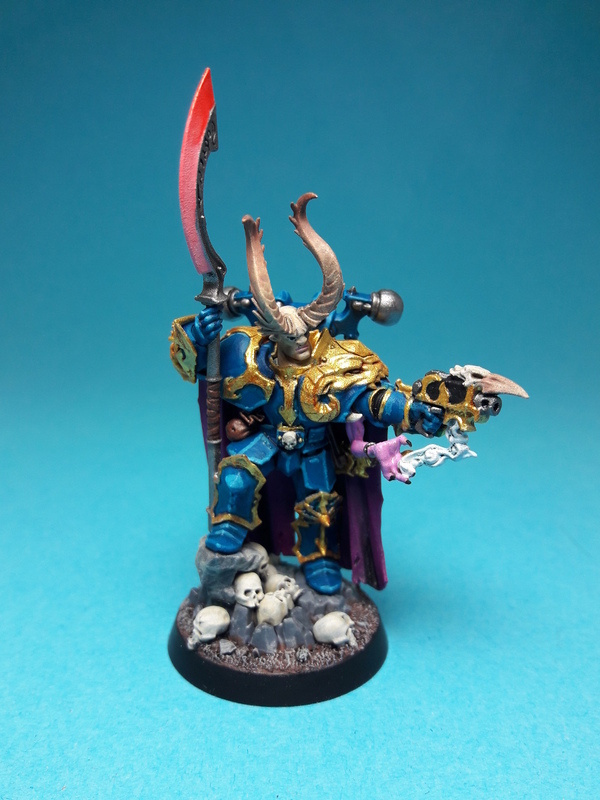 The Chaos Lord Sorcerer is finished. 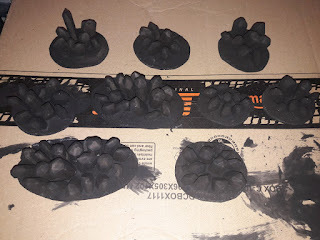 There are some spots that are not so perfect, but I hadn't a lot of time for painting. Altogehter I'm happy with the result. The base colors für the armour and base are finished. But i'll change the blue in the next step a little more to turquoise. 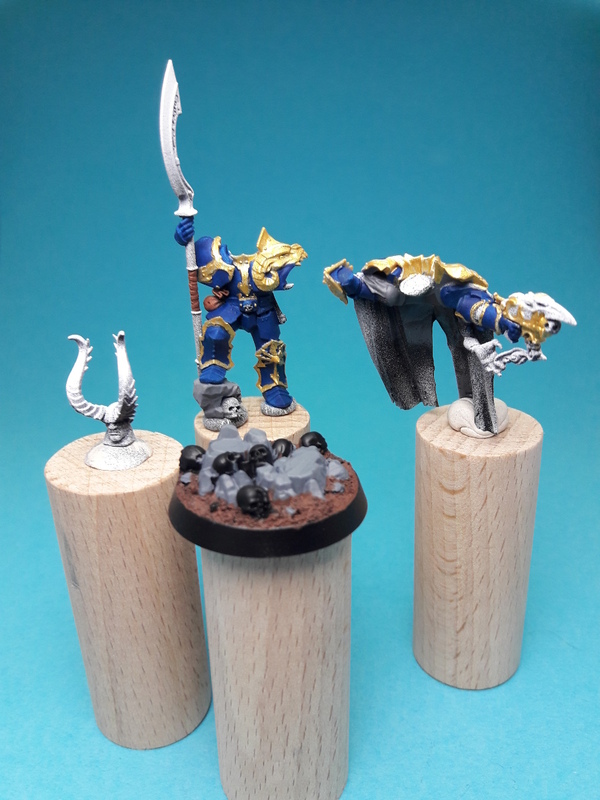 I'm painting a Chaos Lord for a local painting event, were everyone got a random miniature. 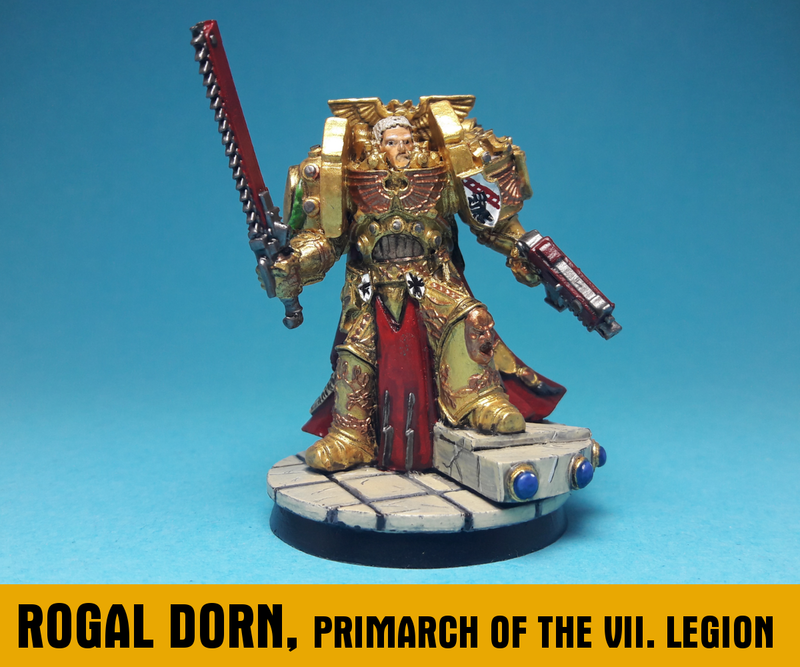 Because I'm not so deep in playing AoS, I'll convent the lord to a chaos sorcerer for my 40k Chaos Space Marine army. Left arm and the blade are from another kit. Base converted to a 32mm round base with some putty and extra skulls. 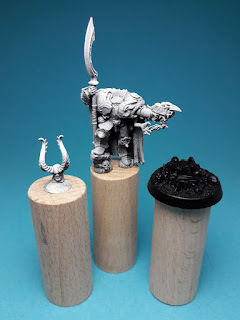 The Model is a slightly converted Theodor Madera from Hitech Miniatures. Weapons and the Eagle are form GW. 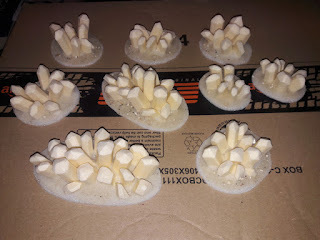 Hair is modeled with putty. From left to right crossbowman, archer and thief. 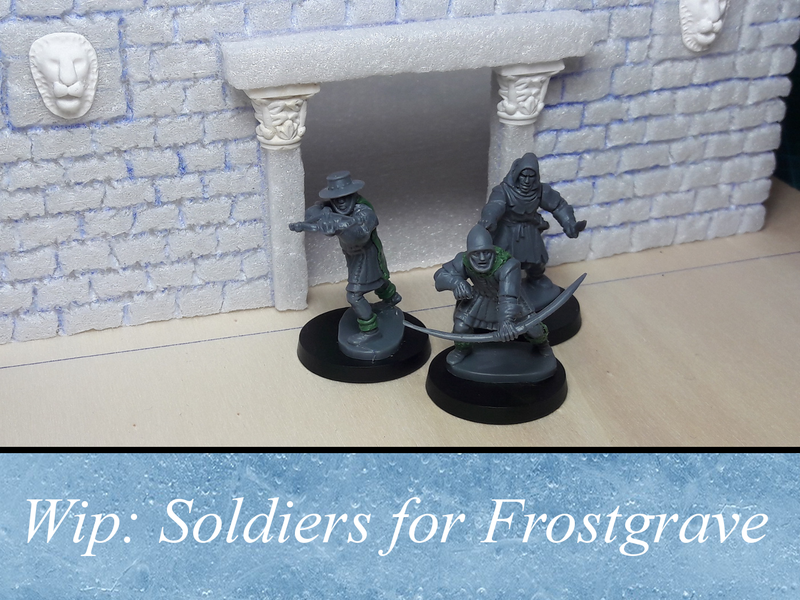 Parts are from the Osprey Games Frostgrave soldiers and Fireforge Games Foot Sergeants with some green stuff. In the background is a wip mausoleum for the first Frostgrave scenario the mausoleum.